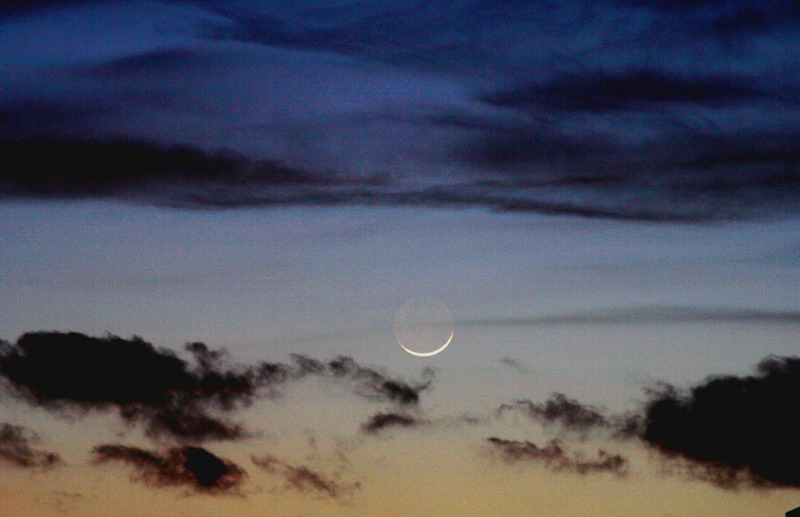 Chris Newsome took this picture of a 26 hour old Moon on the evening of the 27th March 2009. He used a hand held Canon 400D camera, with a 2 second exposure through a 200mm lens at 100ASA. Malcolm Neal took this picture of the 1.6 day old Moon at around 19:20 UT on the 20th March 2007. The lit portion of the Moon has been over-exposed to allow the unlit portion to be visible. 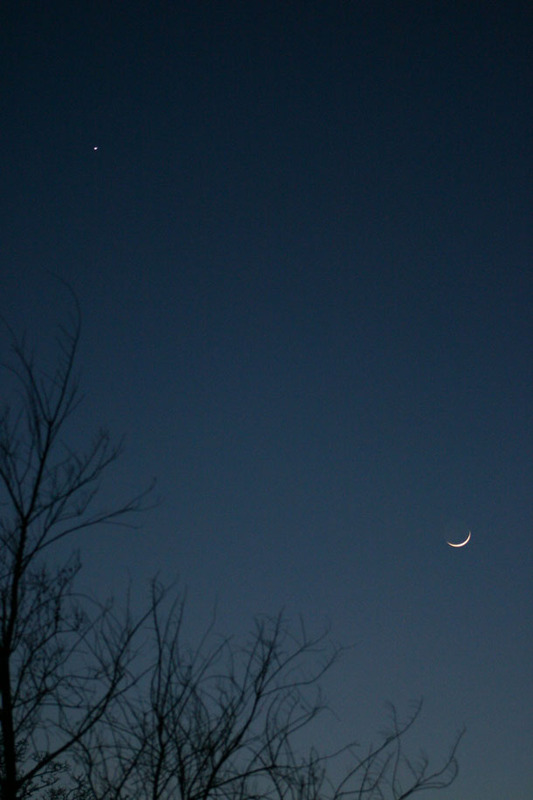 Unlit that is apart from Earthshine. This is light reflected onto the Moon from the Earth. It has also been termed 'The old Moon in the New Moon's arms'. Malcolm used a Canon EOS 300D camera fitted with a 500 mm lens at f/7.1. Exposure time was 2 seconds at 800 ASA. 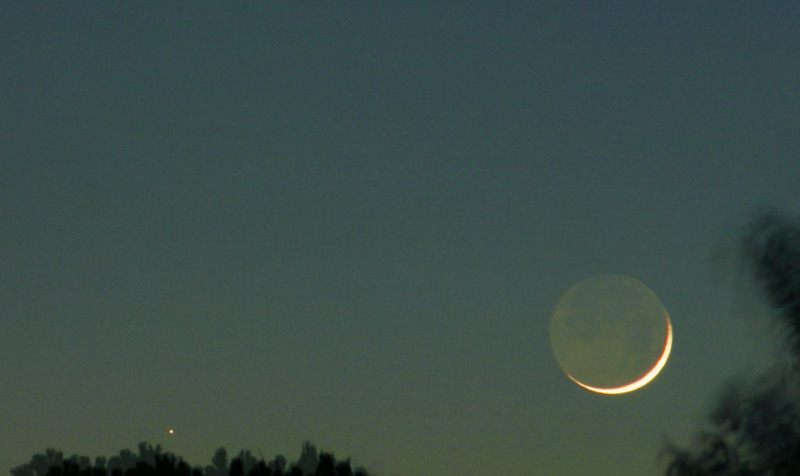 This lovely picture by Malcolm Neal shows Venus and the 1.6 day old Moon and was taken around 19:00 UT on the 20th March 2007. Malcolm used a Canon EOS 300D camera with a zoom lens at 75 mm and f/4. Exposure time was 1/25 s at 800 ASA. 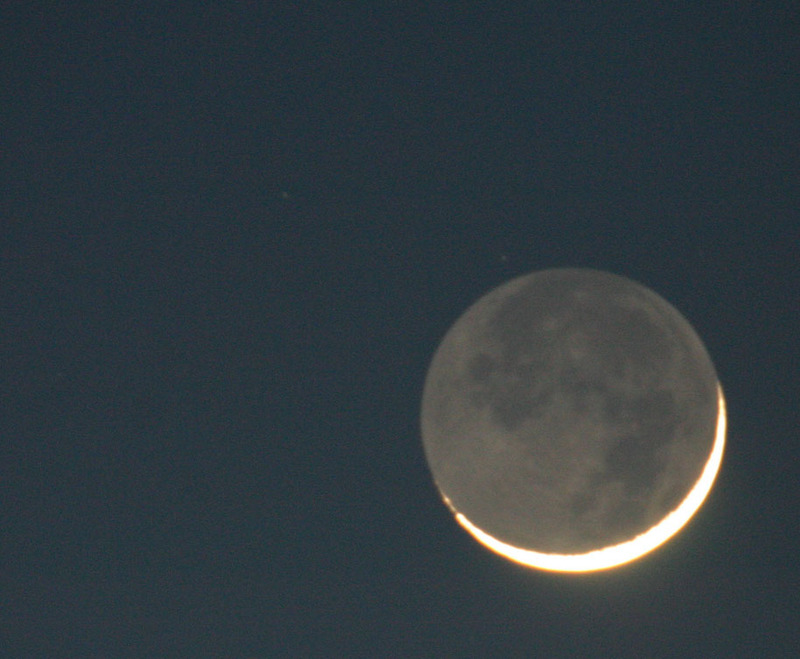 Earthshine - light reflected from Earth onto the Moon - is clearly visible on the dark side.